A delicious afternoon teatime snack made with Methi leaves. 1. Mix the rice flour, gram flour, salt, ginger, green chillies, onions, coriander leaves and red chilli powder in a large bowl. 2. Heat 1 tblsp oil and add to the bowl. 3. Add methi leaves and sprinkle a little water. 4. Mix well to a thick dough. 5. Heat oil in a frying pan. 6. Drop small portions of the dough into the hot oil. 7. Fry until light golden brown. 8. Remove and drain excess oil. 9. 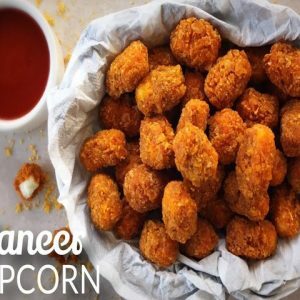 Serve as a teatime snack or as an after school snack for children. 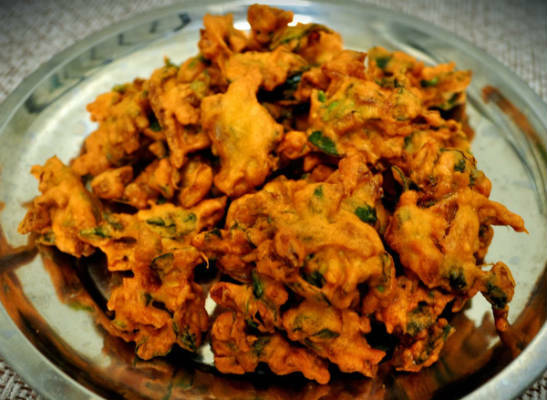 Feel free to comment or share your thoughts on this Methi Pakoda Recipe from Awesome Cuisine.